Synopsis: It's hard to resist a story about stories. 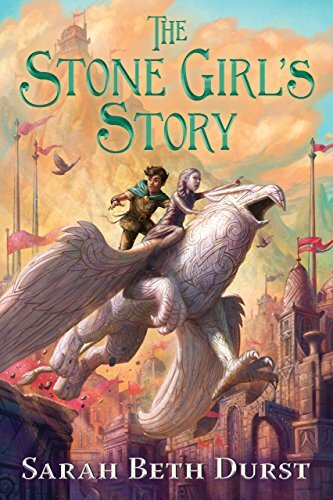 We are the stories we tell about ourselves—that's the theme that shines through in Sarah Beth Durst's newest middle grade fantasy, The Stone Girl's Story. The stone girl is Mayka, just like a twelve-year-old girl in most respects except that she was carved out of stone by her father, a Master Carver. He gave her life, as he did with so many other stone creatures with whom she shares her cottage, and he carved her story onto her stone skin. The story has a rather sad, poignant beginning, though. It's been a long time that Mayka has been caring for the cottage and its inhabitants on her own—stone lives longer than flesh, after all. We join the story long after Father has gone, but Mayka is saying goodbye to another longtime companion, Turtle. His marks have faded, and he has slowed to a stop. Mayka, determined to find another Master Carver who can recarve the marks and save her friend, leaves her remote mountain for the first time and ventures in the direction of the city of Skye, where she's sure to find someone skilled enough. She also, of course, finds adventure. Observations: There's a classic quality to Mayka's journey—a quest that brings danger, new friends, and surprises, and ultimately ends in Mayka realizing (minor spoilers – highlight to read) that what she seeks lay within her all along. At the same time, she'd never have experienced that empowerment without going on her journey. The friends she meets along the way, and the wondrousness of the setting and its magical stone creatures, provide a nice counterpoint to the notes of sadness and urgency that are inherent to Mayka's situation. The story itself, as I mentioned earlier, is really ABOUT stories, and the idea that our experiences carve themselves upon us and make us who we are. It's a gorgeous idea, and one that is echoed in the idea of tattooing, which for many people does tell a story of who they are, and who they might be. 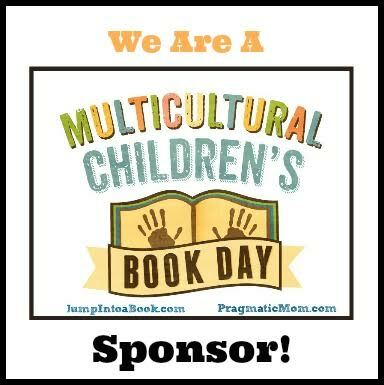 But don't be deceived into looking only at the surface--this book is also about power, who wields it, and who has the right to tell someone else's story. As in all of Durst's books written for younger readers, the simplicity is deceptive, and along with the whimsy are complex ideas shining through. Conclusion: I feel like this is one of Durst's strongest middle grade books yet. Its starred reviews are well deserved, and I wouldn't be surprised if it's an award contender—but whether it is or not, I highly recommend it for fantasy fans and fairy tale enthusiasts of all ages. I received my copy of this book courtesy of the author and publisher (thank you!!). You can find THE STONE GIRL'S STORY by Sarah Beth Durst at an online e-tailer, or at a real life, independent bookstore near you!